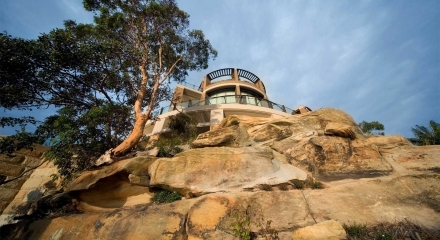 This two storey family home sits on a sloping ridge site with ocean views to the south and a major road to the north. 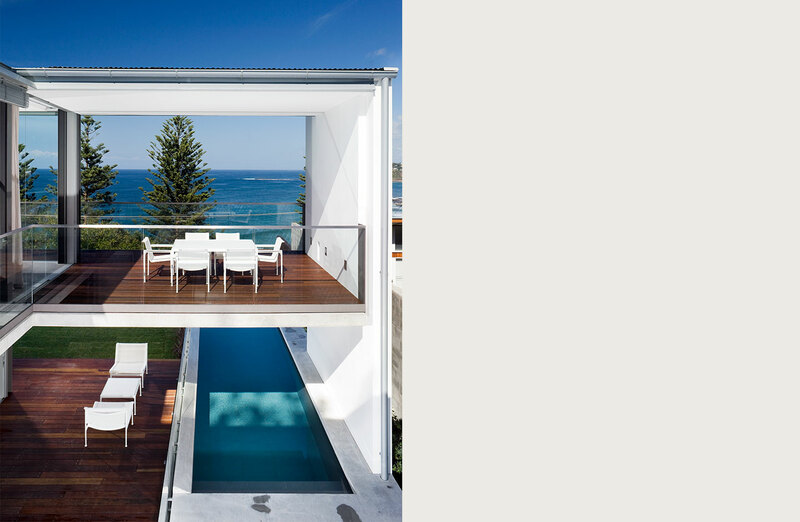 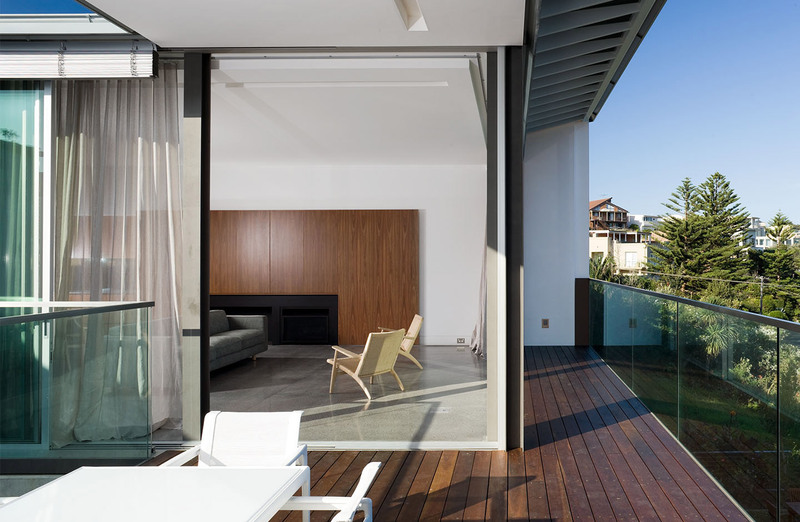 The house wraps around a courtyard, providing a protective enclosure from the street while maximising light and views. 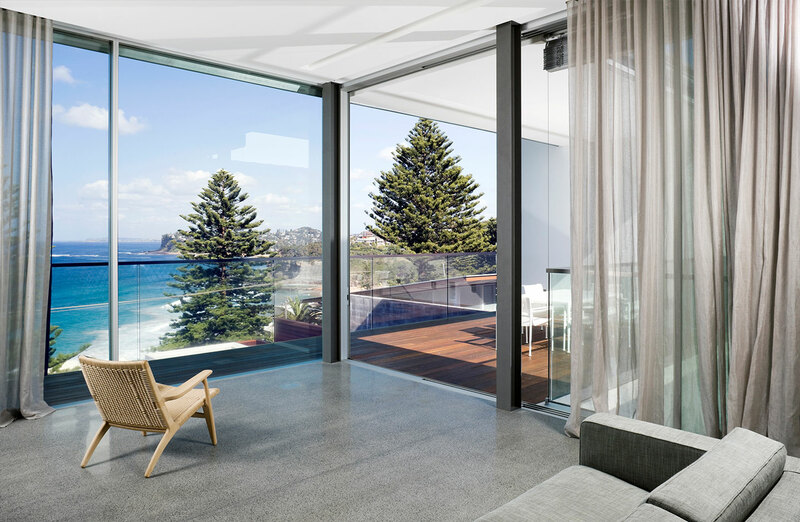 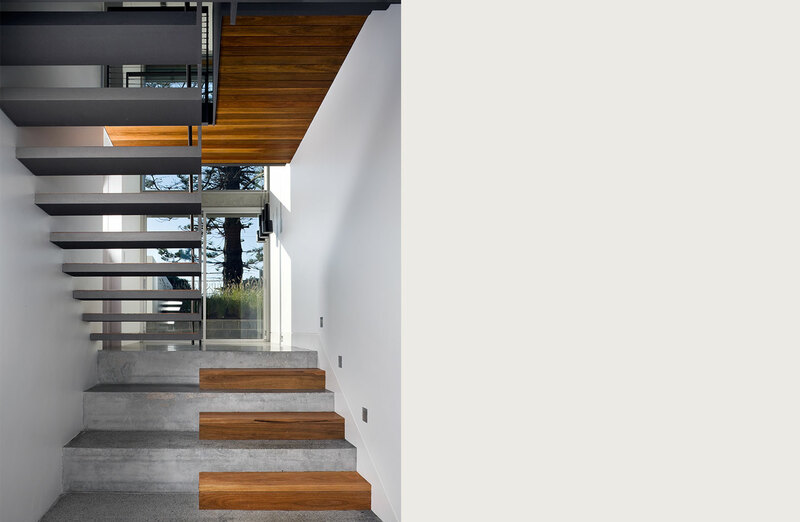 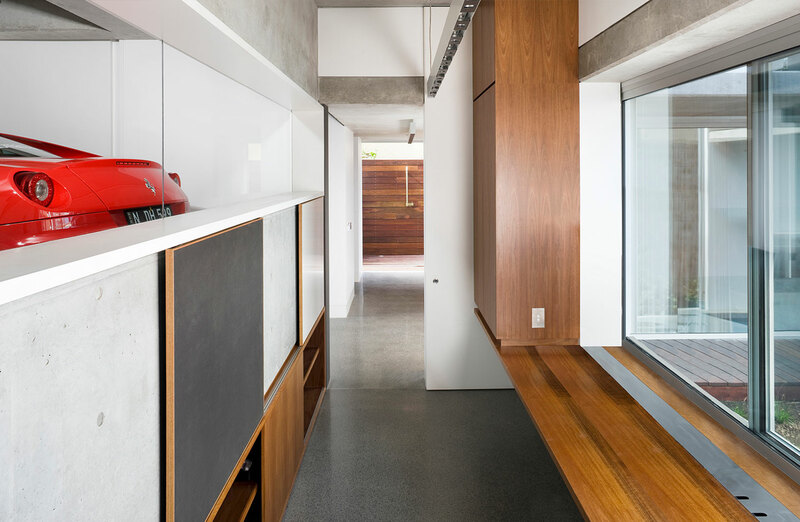 A central stair and void connect all the main areas and flood the home with northern sunlight softly filtered through a mature Norfolk Pine in the garden on the street. 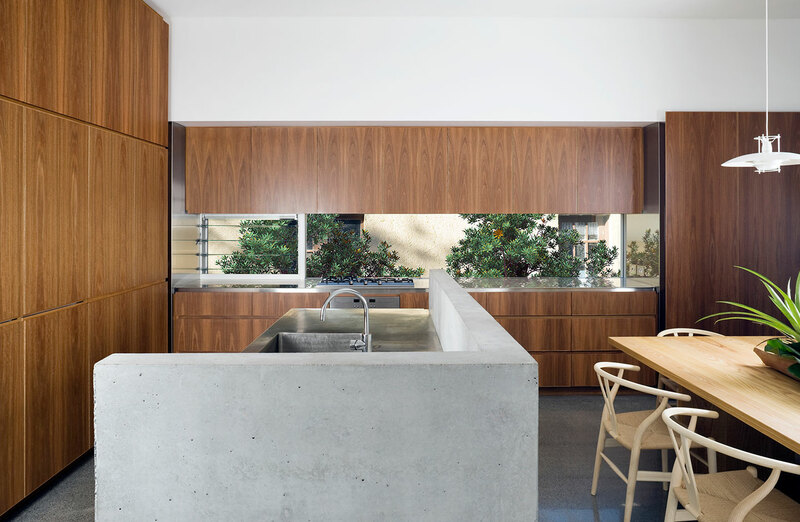 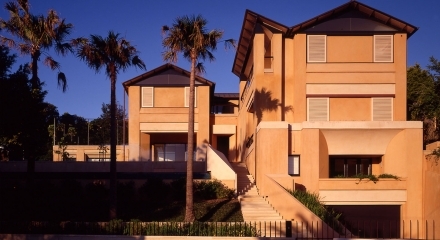 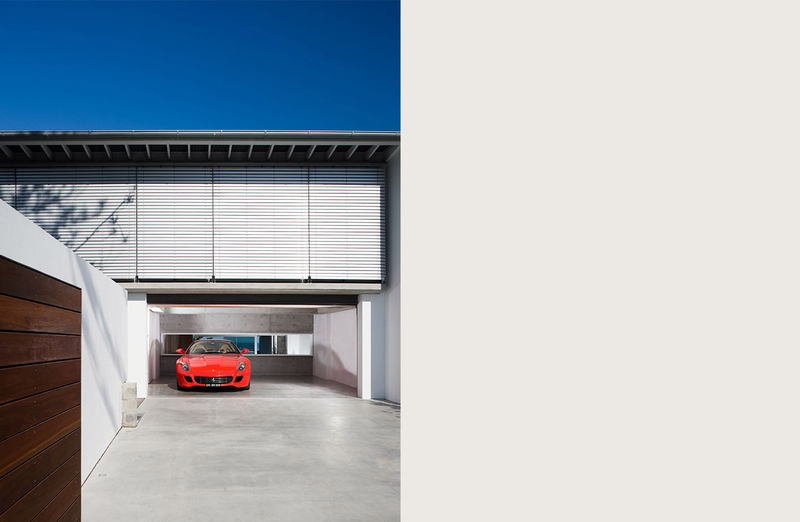 Off form concrete, oiled timbers, steel and rendered masonry define the architectural character.